Roadstar.ai Fires Its Co-founder for Corruption - What's the Truth? Shenzhen-based artificial intelligence startup Roadstar.ai announced this morning that the company had fired its co-founder and chief scientist ZHOU Guang for corruption reasons. Jan 21, 2019 /EqualOcean/ - Shenzhen-based artificial intelligence startup Roadstar.ai announced this morning that the company had fired its co-founder and chief scientist ZHOU Guang (周光) for corruption reasons. According to a statement posted on WeChat, the most popular social media platform in China, the company says Zhou Guang accepted kickbacks through his college alumni in the company’s Series A fundraising, without giving any further details. EqualOcean cannot independently verify the company’s statement. The company didn’t respond to requests for comment. It’s important to notice that the statement posted on WeChat came with another statement, claiming that the WeChat account that posts the statements are “the only official account of” Shenzhen Roadstar AI Co., Ltd., the legal name of Roadstar.ai. Founded in May 2017, Roadstar.ai has been working on Level 4 (SAE) autonomous driving technologies. The company provides customizable and commercially viable autonomous driving solutions to traditional automakers. The company raised USD 128 million (RMB 812 million) from Wu Capital and Shenzhen Capital Group in its Series A round funding in May 2018, valuing the company at USD 600 million. Zhou Guang graduated from Tsinghua University and The University of Texas at Dallas, with a Ph.D. of computer science. He also worked at DJI (大疆) as leader of autonomous power line inspection robot, and later team leader in autonomous agriculture robot project of Texas Instruments. He joined Baidu USA in July 2016 as a software architect and focused on developing autonomous driving technology. 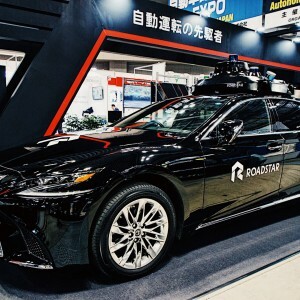 In May 2017 he co-founded Roadstar.ai with TONG Xianqiao (佟显乔) and HENG Liang (衡量), both of which have worked for Baidu’s autonomous driving division. The statement also accuses Zhou Guang of cheating on a government regulatory report by providing fabricated data and also hiding codebase and drawings from the company. Intriguingly, at the same time when Roadstar.ai announced its decision of firing Zhou Guang, an article about the details of the company’s accusations was posted on Zhihu, China's version of Quora. The article, which was posted anonymously and wrote in the first person, provides the same perspective as the company’s statement while giving more details about each of accusations, and being more emotional. The article describes Zhou Guang as an arrogant and narrow-minded person and accuses him of abusing power, and technology fraud. The authenticity of the article cannot be verified, and Roadstar.ai didn't respond to requests to comment over whether the article is connected to the company. Rumors have been circulating for months among the tech community in China that Roadstar.ai has a “executives conflicting” problem, which led to the company’s failure of closing its newest fundraising in the second half of 2018.